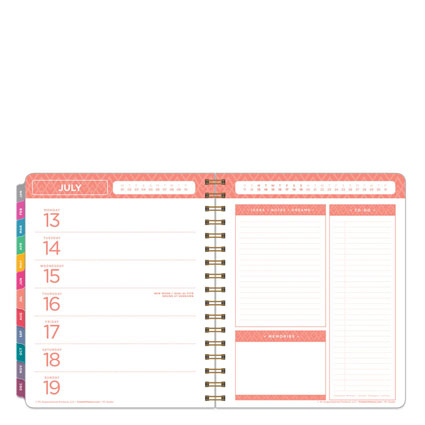 The FC Studio planner combines the creativity of scrapbooking with our time-tested planning features, giving you a beautiful canvas to both organize and record your daily life. Its two-pages-per-week layout gives you space to plan each day of the week, a to-do list, and space for your inspiration and memories. 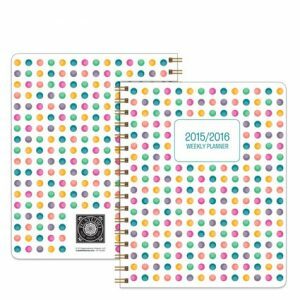 Along with your weekly planning pages and monthly calendar tabs, each planner comes with a bound-in folder, a bound-in plastic pouch, a page finder, perpetual calendar and two pages of event stickers. 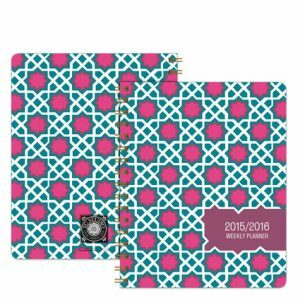 With a new bright design every month, inspirational quotes, and plenty of extra notes pages, you can capture all the details as they happen—and save the memories as keepsakes. As always, you have a lot of say in the design of your FC Studio planner. You can choose from three different cover designs, and even personalize your cover with your name and a favorite photo. You can add a matching notepad, include bound-in address and phone tabs, or add a Pagefinder pad to keep track of long-term goals without re-writing them each week. 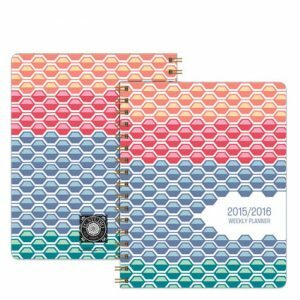 Because scrapbooking elements are included in its design, it is an ideal canvas for mounting photos, jotting down memories, and embellishing with extras such as washi tape, enamel dots, stickers, and clips. Drop in today and see what else you may have missed. Your next favorite accessory is waiting to be discovered.